United Kingdom-flagged, IMO 9695470, MMSI 232008656 and call sign MBER9. Gross tonnage 447 tons, net tonnage 135 tons and as dimensions 28,82 (between perpendiculars)-32,70 (over all) x 12,82 (over all) x 5,5o (maximum) metres. Maximum bollard pull 82,6 tons. Maximum speed 13,4 knots. According to the sight of Multraship, Terneuzen, Netherlands is she Netherlands-flagged with as homeport Terneuzen, Netherlands and call sign PBVV. 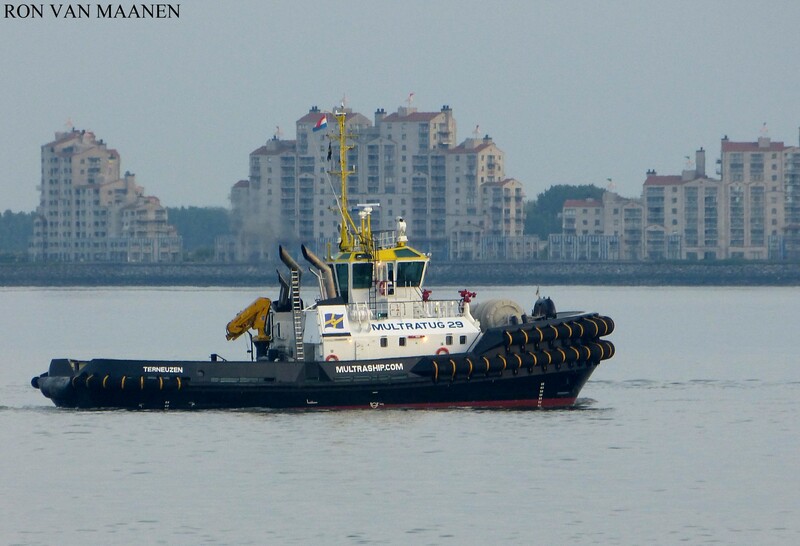 ASD Tug 3212 built by Damen Shipyards Gorinchem B.V., Gorinchem, Netherlands with yard number 512528 in 2015. Since 15 April 2015 of Global Ship Leasing 20B.V., Gorinchem, managed by Multraship Towage&Salvage B.V. and Handel- en Scheepvaartmaatschappij Multraship B.V., both at Terneuzen. Since 2017 chartered by Shetlands Islands Council, arrived there on 25 April 2017 at Sullom. Sold to the Global Ship Leasing B.V., since 30 August 2017 homeport Lerwick and United Kingdom-flagged.